None other than Hugh Hudson of Chariots of Fire fame has directed the movie. If you haven’t seen the movie, you can get a sense of the plot from the Spanish trailer here. You can also see an interview of French actor Pierre Niney who plays the role of painter Paul Ratier – a key character in the narrative. The soundtrack is by none other than Mark Knopfler – have a look at this interview with Knopfler and Hudson on the making of the soundtrack which is available on iTunes and Spotify. 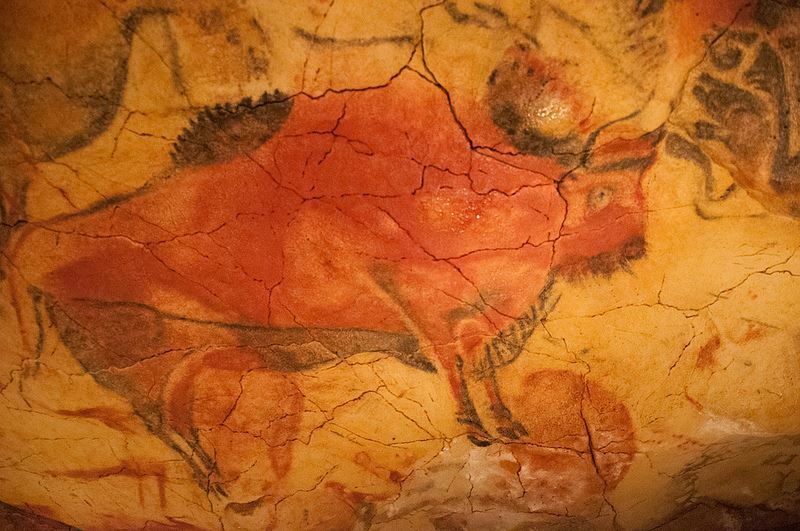 If you’re not familiar with Cantabria’s Altamira caves – which are often called the Sistine Chapel of Palaeolithic Art, we’ve written about them in our post Are the Cantabrian Cave Paintings in Northern Spain the oldest art in Europe? and again in Time Travel in Cantabria – from Neanderthal Man to Contemporary Spain and Everywhere in Between. 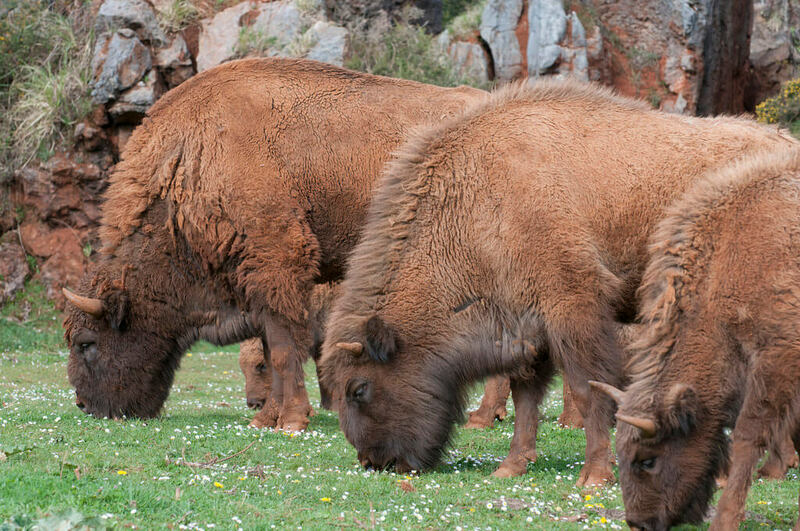 Whilst Altamira are the most recognised, please note that there are many Prehistoric Caves in Cantabria that you can visit. All are within easy reach of each other and are in very scenic locations where visits can be combined with other activities and/or excellent dining experiences. We were thrilled to read recently that medieval Santillana del Mar will be the location for the new UNESCO Centre for Cave Art. We know it will be an excellent resource for many of our clients eager to learn as much as possible about the region’s ancient frescoes. In the meantime, there are dozens of amazing museums already in place to visit here. If you haven’t visited the Pre-history Museum, Gaudi’s Capricho, the Maritime Museum and the Lighthouse Gallery, you can check them out here in Top Museums in Cantabria. And you can’t forget Altamira. When we talk of Cantabria we always talk of Altamira. We love popping across the bay to Santander – the capital of Cantabria. 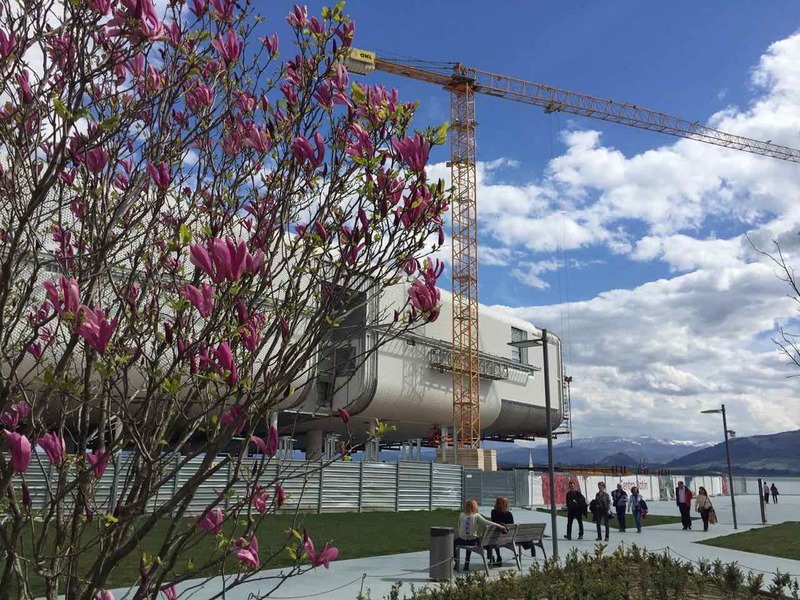 Each time we arrive by boat, we can’t resist checking out the Renzo Piano designed Botin Centre – which is getting closer and closer to completion. There is a connection between the Altamira caves and this new arts centre. The duo accredited with discovering and documenting the Altamira cave paintings are Marcelino de Sautuola and his daughter Maria. She married Emilio Botín López and their descendants are the owners of Banco Santander and the Botin Foundation. And we also enjoy re-living Santander’s golden past at the Magdalena Palace for example – if you’ve never been, think Spanish Downton Abbey with cliffside views of one of the prettiest bays in the world. In fact, it was the setting for the Spanish period drama Grand Hotel that was screened internationally on TV and services such as Sky Arts and Netflix. When you can, do try to see it in person – it’s every bit as beautiful! Bring a posh picnic for after the tour to enjoy in the sculpture garden. Don’t be surprised if you come upon a wedding or two – it’s a very popular choice locally for civil weddings. The Magdalena Palace annually hosts the Santander National Show Jumping Championships in early July which is a lovely time to see the place in all its finery. And for an authentic Spanish fiesta experience note that Santander hosts its annual fiestas – Semana Grande de Santander – in 2016 from 22 – 31 July. The Palace celebrated its centenary back in 2013. This year it’s the turn of the Gran Casino Sardinero (which is still open for business) and the next big anniversary is that of the classic 5 star Hotel Real, which was built in 1916 but wasn’t formally unveiled until July 1917. It’s not all about celebrating the old in Cantabria. Cabarceno Natural Park is poised to open its brand new cable car rides within the coming months. If you haven’t heard about it, this park operates in the area of environmental education and conservation of endangered species. Located on the site of a former iron mine, it is one of the region’s most popular attractions and this cable car ride will only add to its appeal. There will be two different cable routes that travel over and stop outside a number of the wild animal habitats (the animals live here in semi-liberty). Can you imagine how excited your inner kid will be as you hover over the bears, hippos and elephants? Expect too amazing views of the nearby valleys, mountains and the stunning bay of Santander. Each of the 60 cable car cabins seat up to 8 people so it’s a perfect treat for small groups and family days out. Have your camera at the ready! Speaking of cameras – just as Altamira hits the big screen – another international film crew are set to arrive in Cantabria. 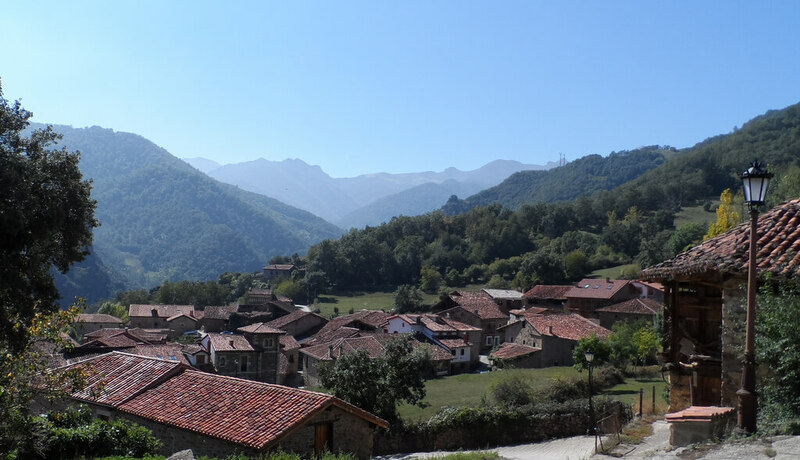 A number of scenes for a new version of Heidi is going to be filmed in Mogrovejo (near Camaleño) by the Picos de Europa. Located at 460m above sea, it’s perfect for those chocolate-box mountain shots. Filming for “Heidi-Queen of the Mountains” started in the UK and the crew will go on to India after they leave here. If you are walking or hiking in the coming weeks in Cantabria’s Liebana Valley, watch out for actors such as Bill Nighy of “Love Actually” fame and “Friends” and “Cold Feet” star Helen Baxendale. We don’t yet know who is playing Heidi – it’s a big role that has starred famous child actors including Shirley Temple. With a registered population of just 46 people in the 2006 census, Heidi and her co-stars should be easy enough to find in Camaleño! Cantabria is developing a reputation for itself as an authentic boutique Spanish destination. It is quite unspoilt by mass tourism and even in summer when Spaniards from all over Spain come here to enjoy the regions food, pleasant climate and amazing beaches you’d hardly notice, due to the wide open countryside and beaches that stretch for miles and miles. 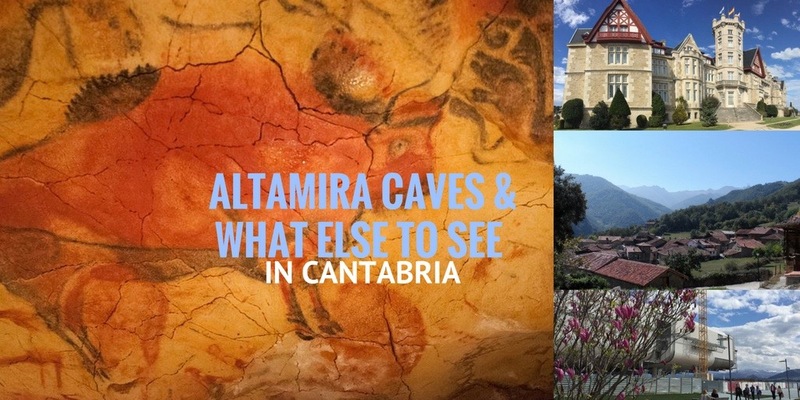 If you haven’t had the opportunity to see Cantabria for yourself yet – keep an eye out for screenings of the Altamira movie and get a sense of this wonderful region! 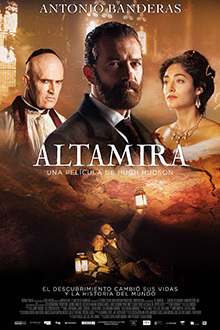 Posted in Cantabria, Green Spain, Museums & Galleries, National Parks, Santander and tagged Altamira caves, Altamira the movie, Antonio Banderas, bears, Bill Nighy, bisons, Botin Centre, Cabarceno, cable car, Camaleño, Cantabria, Capricho, Downton Abbey, elephants, Grand Hotel, Heidi, hippos, Liebana Valley, Magdalena Palace, Marcelino de Sautuola, Maritime Museum, Mogrovejo, Palaeolithic, Picos de Europa, Pierre Niney, Pre-history Museum, Renzo Piano, Santillana, Sistine Chapel, weddings.